Rabat – Moroccan musician Abdelhak Mabrouk debuted his latest music video, “Ahwach Jazz,” at a press conference at Marrakech’s La Mamounia Hotel on Friday, March 23. Approaching the hotel’s entrance, Mabrouk invited an ahwach group to inaugurate the event, offering the audience an introduction for those unfamiliar with the traditional music, dance, and poetry collective performance. 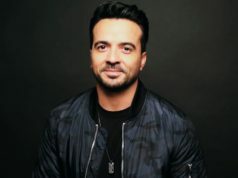 Mabrouk released his eponymously titled album in March 2017. The 10-track compilation is the fruit of Mabrouk’s decade-long project: to forge a new kind of music by fusing jazz with Morocco’s ahwach tradition. 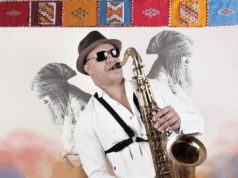 The seven-minute video features Mabrouk in various guises playing saxophone, at times solo, at others participating in an ahwach performance. The different vignettes are more impressionistic than narrative, and the video itself grants arresting shots of Mabrouk’s native Ouarzazate. 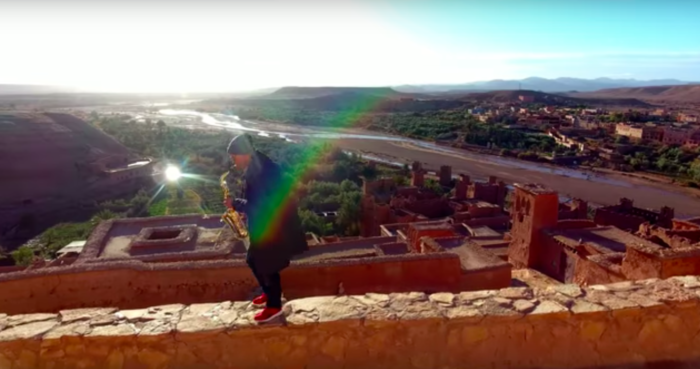 Filmed in January, the video offers sweeping views of Ait Benhaddou, a UNESCO World Heritage Site, and the palm groves surrounding the mud-walled hilltop city. 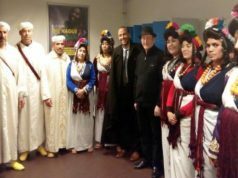 The production was nine months in the making and required two different teams; “It was quite a process,” said Elisabeth Myers, the ensemble’s project manager, speaking with Morocco World News. 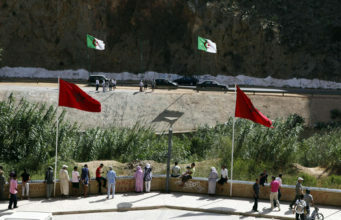 However, the video’s rocky genesis was not evident to the press, guests, and musicians seated in La Mamounia’s interior. 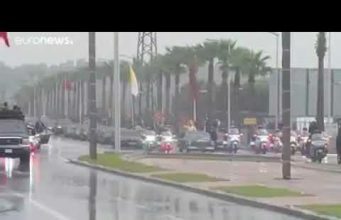 Abdellah Adioui, the artistic manager, admitted he was “very happy” with both the event and quality of projection, adding that he was glad to see the video “shared with all the guests,” in a brief statement to Morocco World News. Adioui also remarked that he was pleased to see Morocco’s “intangible [cultural] heritage” broadcast and celebrated in such a space. Music runs in Mabrouk’s family: his father played saxophone in a military band. 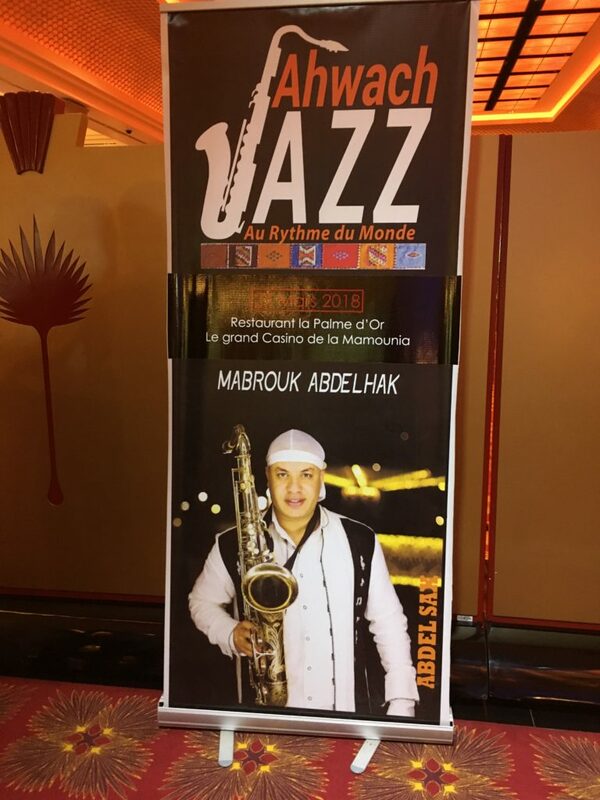 Mabrouk gravitated toward jazz at an early age and says he always knew that he wanted to be a musician. He moved from Ouarzazate to Marrakech to pursue his musical career as a jazz musician. 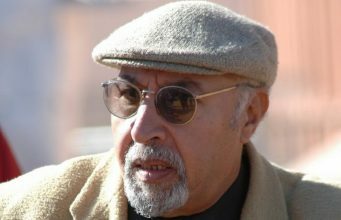 In his explorations of traditional Moroccan music, Mabrouk insists ahwach and jazz have more things in common than they do dividing them. These two are not mutually exclusive musical forms, spliced together: rather, each already contains elements of the other. In fact, Mabrouk’s attempt to synthesize something new with ahwach simultaneously involves tracing the diverse threads already woven into the cultural fabric itself. Speaking to Morocco World News the day after the event, he said: “There is something between ahwach and all the rhythms that come from Africa.” To prove his point, he began drumming different rhythmic variations on the arm of his chair, identifying musical overlap with Gnawa music and reggae. 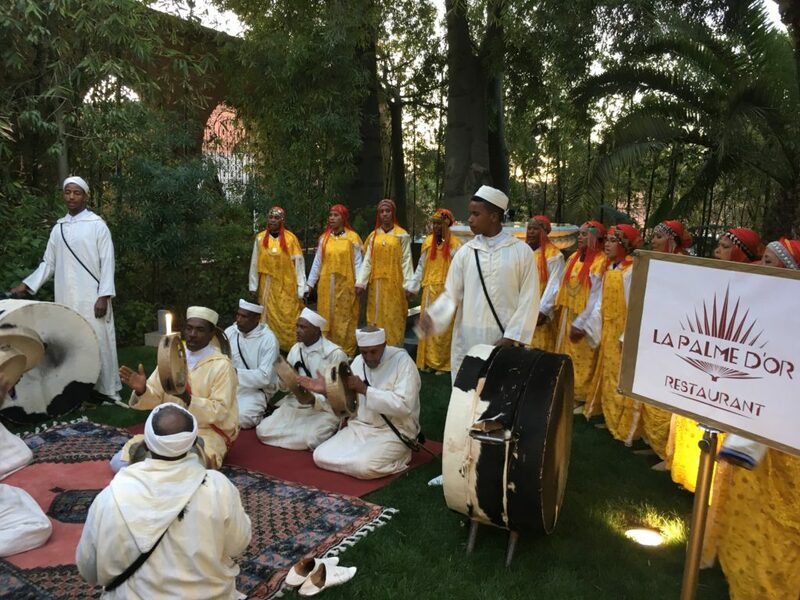 And the connections are not exclusively musical: the traditional dress worn during an ahwach performance also manifests diverse elements of Morocco’s history. 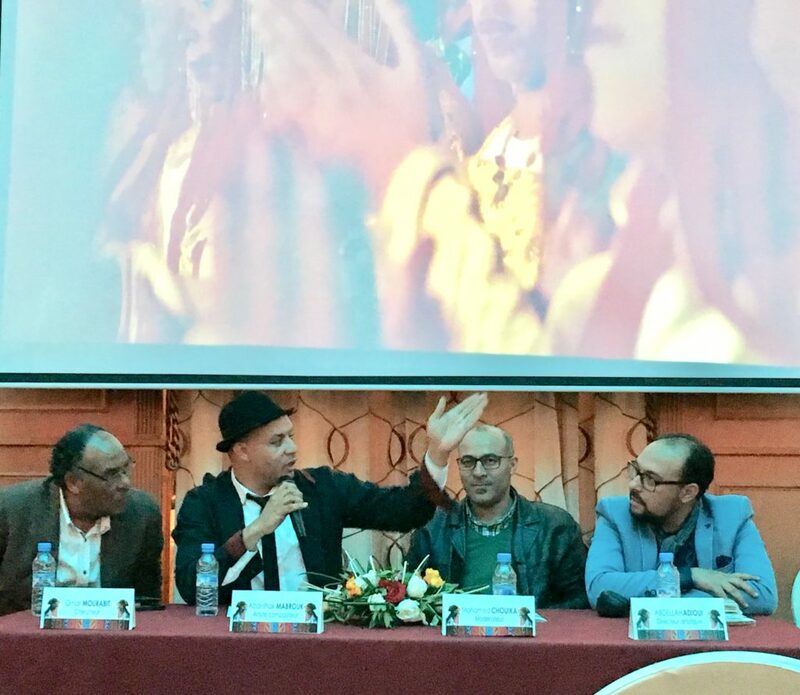 For Mabrouk, the synthesis of Morocco’s traditional music and jazz has also brought into clearer focus the parallels between ahwach’s diverse origins and those of Morocco’s own history. When asked what is next on Mabrouk’s horizon, the musician is reserved. “If you try to force something, it won’t come,” he says. 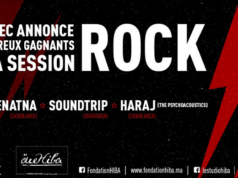 However, Mabrouk is open about his desire to create a venue to promote and “share” ahwach with a broader “community” of musicians. Although purposefully vague about the details of what audiences and ahwach jazz enthusiasts have to look forward to, the team is positive about future collaborations and the opening of new creative channels. 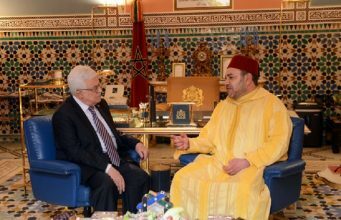 For Mabrouk, music offers the ideal medium with which to engage others while celebrating Moroccan heritage.